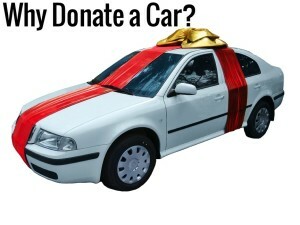 What are the Benefits of Donating a Car? What do you do when you have a junk car? The first thing that comes to mind is to sell your car, but you should know that it can be hard to get a good deal in today’s market. In addition, you must do some repairs on your car, as it is unlikely that a junk car will be in top condition. You will also need to deal with inquiries and appointments from interested buyers who wish to take a closer look at the car, just to let you know that they need to think it over. You can now avoid all the problems by just donating your unwanted automobile Here are some the reasons why you should consider donating your car. One of the major positives of donating a car to charity is that it saves a lot of time and stress that you would be coping with if you were to sell or trade in your old car. When you sell a car, you have to run around from dealer to dealer, show the car and try to negotiate a price. Or you can choose to place an ad in the newspaper that requires even more time and money. Both routes leave you stressed and dissatisfied because you tend to feel that you aren’t getting the most out of the car you have spent so many years with. If your car is a junker, you even have to worry about moving the car, or how to make the car look more presentable. Plus, if you live where it snows, you have to keep the car clean in winter months. When you donate a car, you need not worry about any of these things. When you donate an old car to some places, you are actually reusing and recycling it in the best possible way. When your car can’t be used by a new owner, it will be completely recycled. Each car part will be recycled in some way. Apart from creating a cleaner and greener world, you are also helping to create jobs. Recycling a vehicle could supply enough steel to produce nearly 13 million new vehicles and could create 46 thousand jobs! During this economy, this is a good way to give back to the world we live in. One of the biggest advantages of donating your old car to charity is not just the fact that it creates a greener world, but also that it helps local children in your area. Your contribution might benefit a child with a life-threatening disease or it might benefit a boys ranch or some other kinds of children’s charity. When a child is given the opportunity to have his/her wish granted, they feel hope, strength and joy again. A wish is something that can lift the spirits of a child, and it creates a memory that will stay with them for a lifetime. Who knows, you might even know the child you have helped. One of the biggest pluses about car donation is that the donation stays in your community. It is something that you will always feel good about and this goes beyond any other reason to get rid of an old car. If you don’t have an important reason to donate a car, let this be it! Your car donation will make you eligible for tax deductions. There are several companies that have a deep understanding of the rules related to taxes and know how to turn your car donation into the biggest tax benefit. 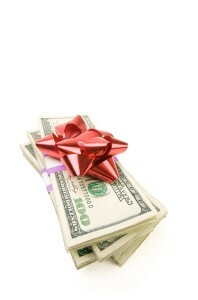 This means your generosity and convenience will in fact put money back in your pocket the coming year! So, not only did you get tax breaks on the money that you give in the form of charity, you are also helping the needy people in your community. All you have to do to donate your car to make a phone call or fill out a form online. Do not waste your time in trying to sell your car, just donate it and let it be someone else’s headache. Complete the transaction, and then sit back to reap the many benefits of donating your car. Thanks for reading this article. Please leave comments below and please share this. This entry was posted in Uncategorized and tagged donate a car, donate a car for tax deduction, donate a car to charity, donate a car to charity tax deduction, donate a vehicle by TC. Bookmark the permalink. Copyright © 2013 Cartips.com All rights reserved.